It's rare that we have a non-food related event planned, but when we do it is invariably turned around to involve some sort of culinary delight. On Saturday we were going to a shooting range in Cheshire for the boys (no animals were harmed in the making of this post, with the exception of a metal crow). 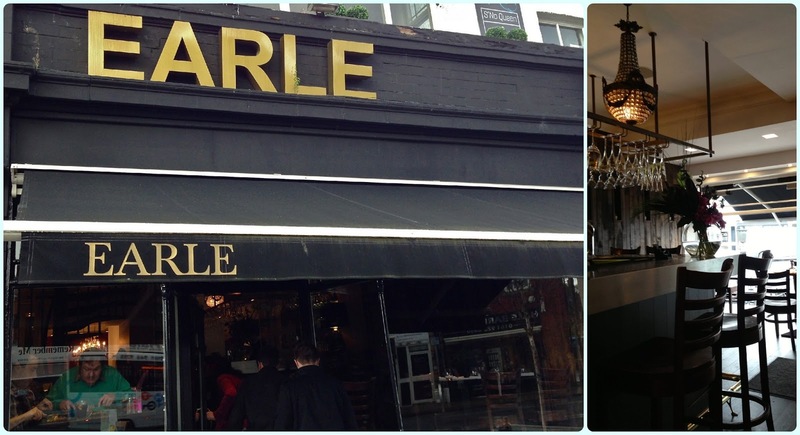 It ended up being a dual focused trip, and we nipped into Earle by Simon Rimmer en route. In a cruel twist of fate, we were caught in the most heinous hail storm on our trek from the car. This could only happen in a place called Hale. We were boarder line frost bitten when we got there, and a tad melodramatic. Earle has been on our 'to do' list for about five years, but we never quite got round to it. I'd had a look at the lunch menu beforehand, and to be honest I wasn't overly excited. I feel a right drongo now. I suppose what I'm saying is don't make the same mistake! Earle is smaller than I expected but has a nice feel about the place. The staff were welcoming and did a cracking job of 'selling' the food with their descriptions. Our waitress explained that the à la Carte menu wasn't really available at lunch, but if there was anything we wanted she could ask the chef. For starters, Wayne, Paddy and I had the leek and potato soup (as recommended by our waitress) and Vicki ordered the whitebait. 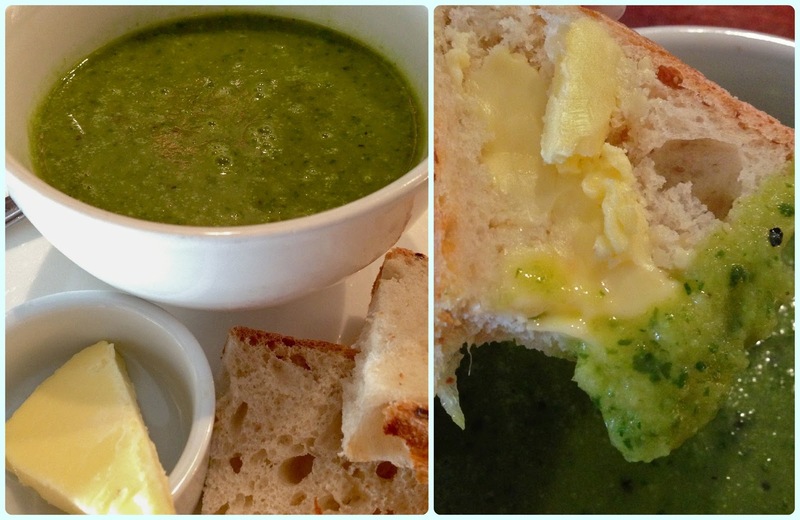 The soup was a wonderful vivid green with a lovely peppery warmth, and came served with crusty bread. 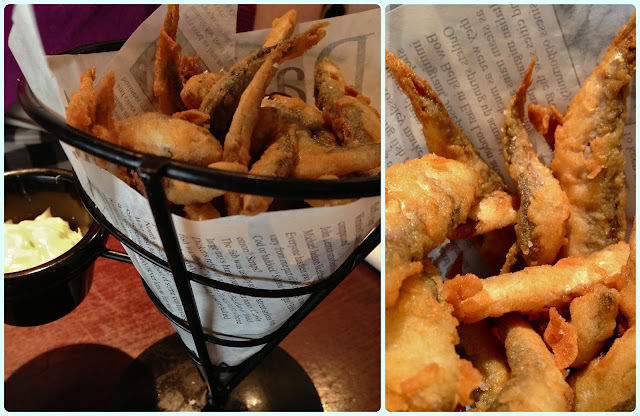 The whitebait came in a paper cone with mayo in the side. Vicki reported this to be tasty, crisp and very filling indeed. Smiles all round! Paddy had the fish and chips, Wayne picked fish pie, and true to form Vicki and I had the burger with cheese and bacon. I wasn't expecting the food to be quite so homely. It was nicely presented but had all the comfort of a countryside pub with a roaring fire. The boys both polished their mains pretty sharpish whilst Vicki and I struggled with the size of our amazing burgers. 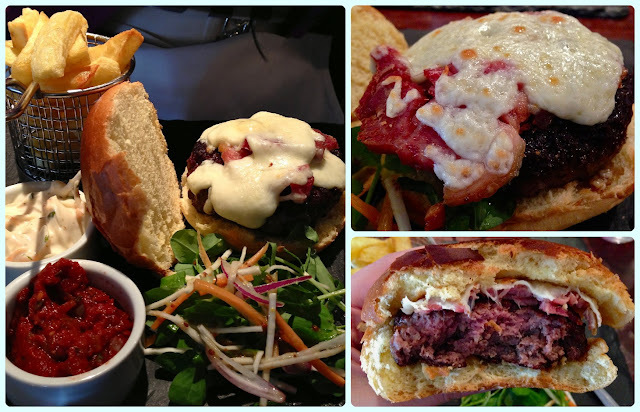 The bacon was more like a thick chunk of slow cooked ham and the cheese was grilled onto the burger. It also came with home cooked chips, salsa and coleslaw. Lovely and pink on the inside and charred on the outside. Perfect. Then we had a bit of a situation. Out of the four of us, there is only ever one person who is looking at the dessert menu before we've even ordered our starters. Yours truly. I can be dying of over indulgence but still lust after the sweet stuff. It's all about balance you see. Problem... we only had twenty minutes until we had to set off to the shooting range. Like a well oiled machine the staff were mobilised into a pudding sourcing super power! Within five minutes it was ordered and on our table. Impressive folks! 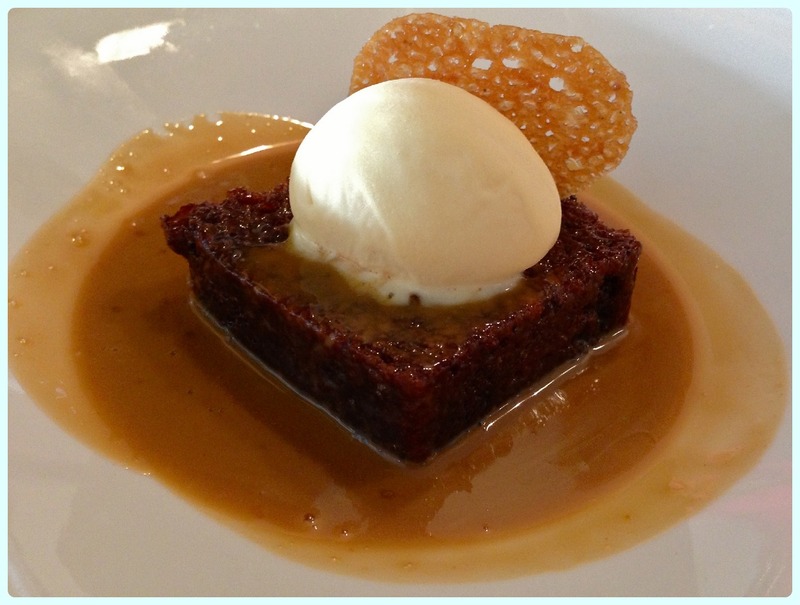 We had a tart au citron and the sticky toffee pudding. Both were pudding perfection. We were planning our next trip before we even left. 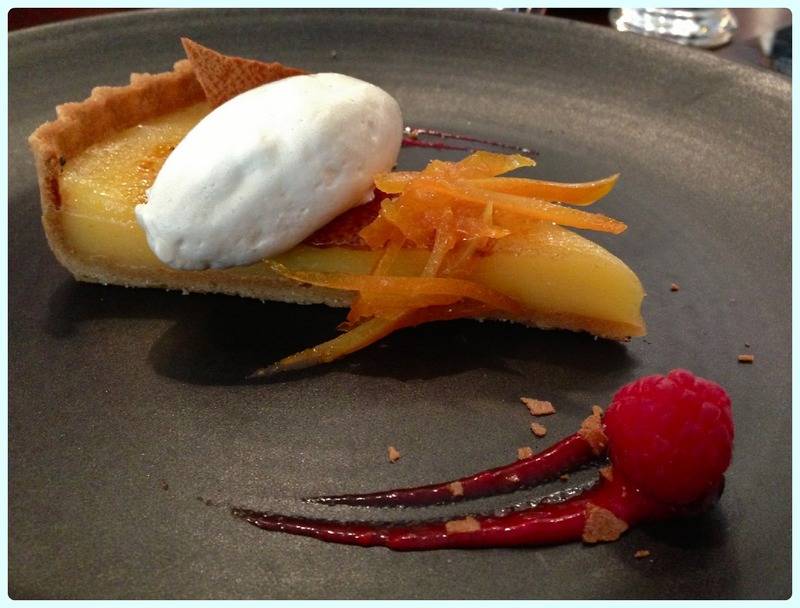 A pretty little venue with friendly staff and great tasting food. I was expecting Earle to be nice. Just nice. I was pleasantly surprised by how much I loved it. 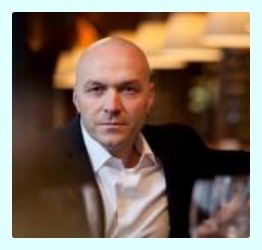 My interview with Simon Rimmer for Love Your Local Market. I've always wanted to try a Simon Rimmer restaurant, even the veggie one! That whitebait looks delicious, I bloody love the stuff. Did you have to book? You don't have to but there was quite a wait by 12.30 so I'd recommend it!